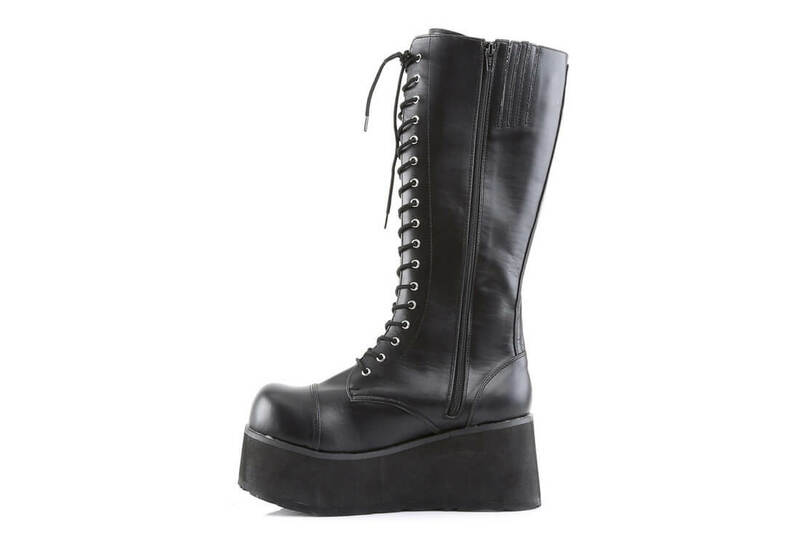 17 eyelet lace-up Knee high black PU platform boot with a 3 1/4 inch platform. The Trashville-502 is a great looking pair of boots. 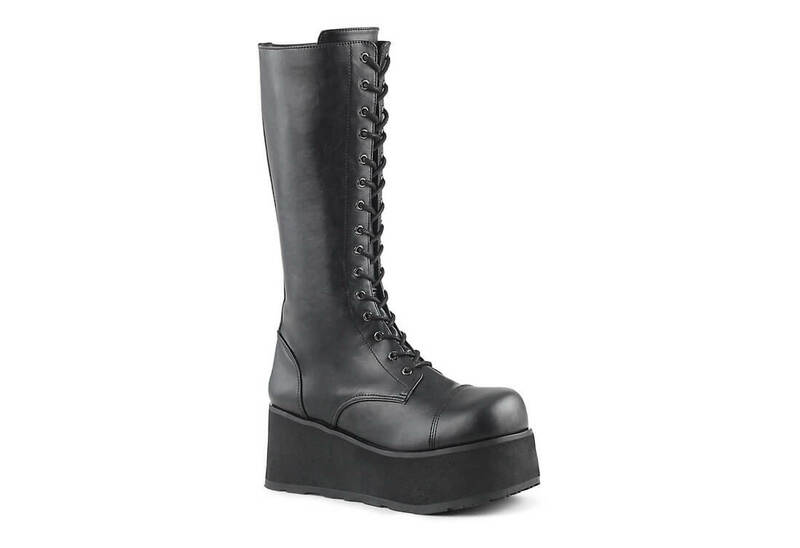 The platform is made from hardened foam making these boots relatively light. They also come with a full inner zipper for convenience. 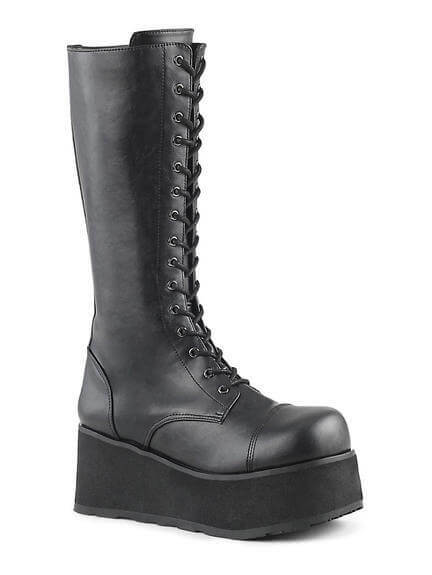 Measured my foot using cm and ordered the boots according to men's sizes, boot fits perfectly with extra room to add an insole or two for comfort.. lots of wiggle room for my toes. There is only one small issue I will comment on.. if you have large ankles they will fit you perfectly. But if you have dainty ankles you probally won't be able to get the laces tight enough to fit well. So, I had these and another pair of boots saved as a favorite. I was saving money for either one. The others did not have free shipping and then they suddenly went out of stock. So, I ended up sticking with these and I'm so glad I did! I was actually really surprised at how fast they came. Plus, they are soooooo freakin comfortable! I wore them to school and tons of people ask me if they're hard to walk in, which they aren't. I'm a little hyperactive, so these can easily keep up with me! You should definitely buy them! These boots are great! They shipped fast and for free! 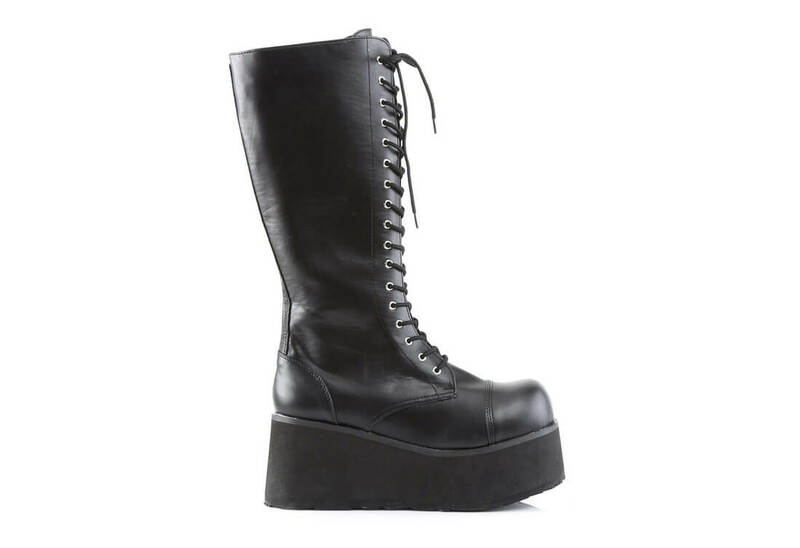 They are a little loose around the ankles as are alot of combat boots like these. They look like pretty quality for this price! Arrived about a week and a half after order was placed.